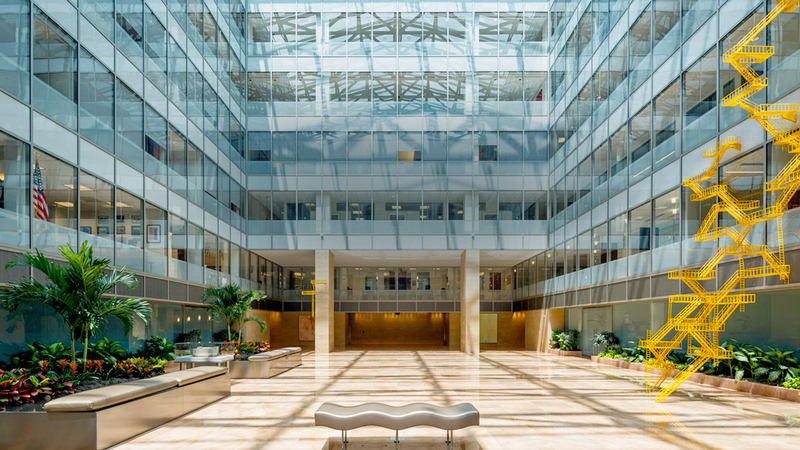 Outstanding trophy core real estate located in the heart of Washington D.C.
One Metro Center is a trophy, 421,235 square foot, class A+ office building located in the heart of Penn Quarter, two blocks from the White House. © Copyright 2019 Jamestown, LP. All Rights Reserved.